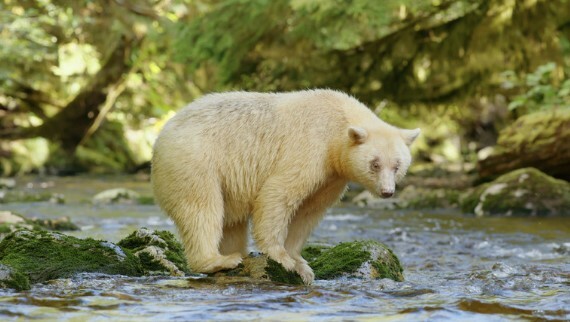 GREAT BEAR RAINFOREST tells the story of one of the rarest animals on Earth—the all-white bear. Nestled in an ancient rainforest hidden from the outside world, these remarkable creatures live in the lush, temperate climate of Canada’s west coast. Shot exclusively for the big screen and narrated by Ryan Reynolds, GREAT BEAR RAINFOREST is an epic adventure three years in the making.